Japanese citizens test for radiation – ABC News Australian Broadcasting Corporation. Unfortunately, this article from the Japan Times repeats the brainwashing that radiation levels are negligible, as well as nonsense such as hydrogen explosions are what spread the radiation around, when we know their was more than one nuclear criticality at Fukushima. I will also add that radionuclide contamination from Fukushima has been detected in every US state. Due to the continued leakage of the reactors and the reckless policy of incineration of contaminated debris and agricultural wastes, fallout it going to continue to be an issue in North America for some time to come. Simple solutions: Cesium-134 and -137 are easily dissolved in water, which means rinsing vegetables and fruit can help reduce radiation levels. Cutting vegetables into smaller pieces and soaking them in water is even more effective. Noguchi says that radiation, though invisible and odorless, can be treated and cleaned up like a stain, noting that by rinsing the food well before cooking, preferably with hot water, and/or boiling or stewing it, a large portion of radioactive elements can be removed. In his book, published in Japanese in mid-July, “Hoshano Osen kara Kazoku wo Mamoru Tabekata no Anzen Manyuaru” (“The Safety Manual for Protecting Your Family From Radiation Contamination”), Noguchi offers tips on how to prepare food, item by item, so consumers can reduce their radiation intake at home. In the book, he refers to data released in 1994 by Japan’s semi-public Radioactive Waste Management Center (now the Radioactive Waste Management Funding and Research Center). The center’s report, titled “Removal of Radionuclides during Food Processing and Culinary Preparation,” compiled results of detailed tests conducted in Europe and Japan following the 1986 Chernobyl nuclear disaster. A series of hydrogen explosions at the plant in March resulted in the release of large amounts of radioactive particles into the atmosphere, tainting vegetables and fruits grown outdoors. They also contaminated soil with iodine-131, cesium-134 and cesium-137. Iodine-131 is no longer detectable due to its short half-life of eight days. The cesium isotopes, meanwhile, need long-term monitoring because cesium-134 takes two years to decrease by half and cesium 137’s half-life is 30 years. The good news is, cesium can be easily dissolved in water. So the best way to prepare vegetables and fruits is to rinse them well before cooking. If possible, cut vegetables into small pieces and soak them in water for a while. More radiation in spinach and other leafy vegetables can be removed if they are boiled. As for lettuces, throw away the outer leaf and rinse the rest well. 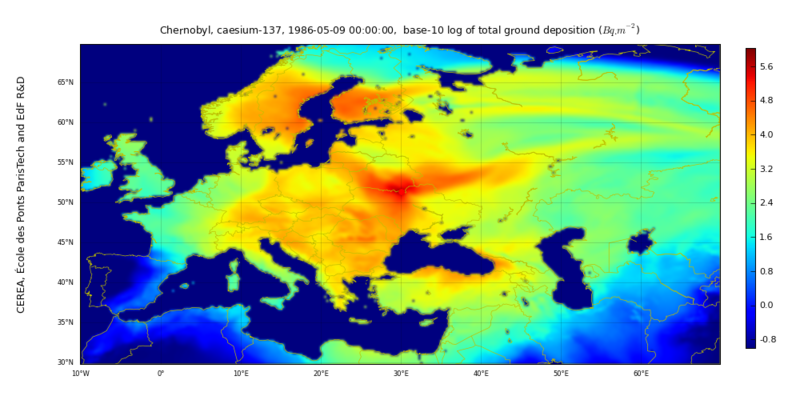 Data from Chernobyl shows that rinsing lettuce can remove up to half of the cesium-134 and two thirds of the cesium-137. Cucumbers can be pickled with vinegar, which cuts radiation by up to 94 percent. Peeling carrots and boiling them with salted hot water would also help reduce cesium levels. Livestock can be tainted through the grass and water they consume. Well-grilled, salt-sprinkled beef poses less risk than anything cooked to a medium-rare or medium state, by cutting 28 percent of cesium, according to a Chernobyl-tied study. Boiling leg meat has been proved to reduce cesium by about 50 percent. Make sure to drain off the hot water. Don’t worry about the pork bone broth; cesium accumulates mostly in meat, not bones, and the levels of strontium-90, which does accumulate in bones, are negligible. For fish and other seafood, however, watch out for strontium-90, which has a half-life of 29 years. According to Noguchi, far greater quantities of strontium-90 were released into the ocean than into the air and ground. Contrary to popular thinking, large fish are not necessarily riskier to consume. Though large fish do eat smaller fish, which leads some to believe they accumulate more radioactive materials, Noguchi says it is the small fish and flat fish that have stayed close to the Fukushima plant that pose more risk. 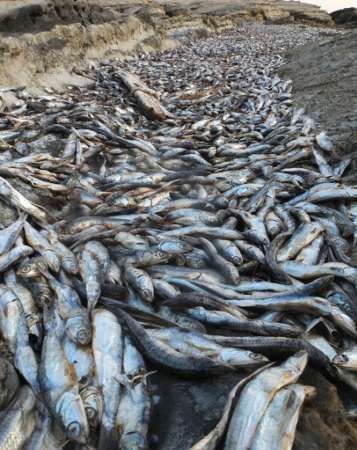 Unlike large fish that swim longer distances, small fish cannot move far from contaminated areas. With tuna fish, rinse with water before eating or cooking. Boiling or marinating salmon helps remove cesium-137, and avoid eating fish bones, as they could contain strontium-90. Much has been said about the nutritiousness of brown rice, but when it comes to radiation, it is the bran layer beneath the husk that absorbs and accumulates cesium from soil. That means white, polished rice, which has no bran layer, is a safer option — though it does contain fewer vitamins, minerals and fiber than brown rice. If you rinse white rice well before cooking, you can also remove radiation-emitting residue on the grain. Wheat products such as bread, spaghetti and noodles pose very little risk, since 90 percent of wheat in Japan has been imported from overseas. For those concerned with radiation in pasta or noodles made from wheat in Japan, the thinner the noodle, the more cesium released when cooked. Fresh milk from Fukushima Prefecture was suspended from the market from mid-March until the end of April after it was found to contain radioactive iodine. The air and grass consumed by dairy cows had been contaminated. Authorities have since been keeping an eye on levels of radiation in milk, so you need not worry too much about the products currently on sale. Cheese and butter are fine, too, because, during their production, the milk whey — the liquid that gets separated from curd — is removed. While rich in nutrition, cesium and strontium tend to remain in whey. Yogurt, which usually has whey floating on top, also undergoes radiation checks before going on the market, but if you are still worried, pour off the whey before you eat the yogurt. Wakame (soft seaweed) and kombu (kelp) are integral parts of the Japanese diet. They flew off store shelves in the wake of the nuclear disaster, when consumers heard that the natural iodine in them might help them fight radiation contamination. Seaweed from the sea close to the nuclear plant, however, will likely absorb high levels of radiation in the coming years. You can rinse it before cooking, or choose seaweed harvested elsewhere. Kunikazu Noguchi’s book, “Hosha no Osen kara Kazoku wo Mamoru Tabekata no Anzen Manyuaru” (“The Safety Manual for Protecting Your Family from Radiation Contamination”), was published by Seishun Shuppansha in July, in Japanese only, priced at ¥1,000. I live in Osaka and sourcing clean food for our toddler son has become the biggest concern of ours, after monitoring the fallout plumes and contamination in our vicinity (which thankfully, seems to be quite limited compared to California, my home state). We have always been interested in buying healthy food and have belonged to COOP for many years. Basically, the story is this: the further north and east you go, the less likely the COOPs are to disclose testing results as this might well embarrass their long-standing farming/food sources, while to the south and west, this is less likely to happen as their food sources are generally less suspect. Often, when I read your blog, which I admire and recommend widely, the reports of contaminated food are then commented on by the readers as proof that sourcing food is dangerous and tricky, when actually, if one knows the resources, it is not the case. COOP generally charges 10-20% more than your typical retail supermarkets, but the more radical of the COOPs (like Shizenha) go further by indicating exactly who is tested and what is found. If those who are really concerned about finding safe food for their families are aware of this, they can also benefit from membership to the more transparent COOPs (others probably do exist which I’m not aware of). As of this week, Shizenha will allow shipping to the northern parts of Japan (for a bigger, refundable membership deposit of 20,000 yen vs. the regular 10,000), in an effort to obviously shame the other COOPs who are more hesitant to state reality as it really is, into being more forthcoming with the testing results. 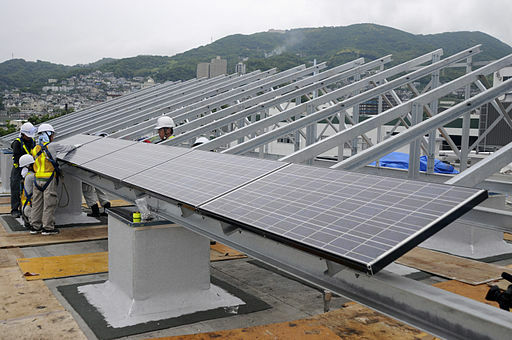 via (Guest Post) How to Source Radioactive Material-Free Food in Japan: Food Co-Op | EX-SKF.